I knew when I posted my blog about the American Cancer Society that it would “ruffle” some feathers. I had no idea that so many people would actually listen (or so it seemed anyways). That I would be the topic of conversations. But I don’t mind. I have a very thick skin….you have to dealing with childhood cancer for over 10 years. 10 years. 10 long, but sometimes glorious years. Hell, there are many marriages that haven’t lasted as long as my sweet daughter’s fight against cancer. Sigh. However, I didn’t expect some “negative” things. People saying that my family is ungrateful. Ungrateful for what the community and schools HAVE done. My first response was disbelief. Seriously?!?! There are people who question the gratefulness of a family who is thick in the battle for their daughter’s life???? My husband, was initially upset about these “negative” thoughts/words. You see, from day one, he was too “proud” to want to ask for help. He has always been a wonderful provider that would do anything for his family. Imagine his hurt, not only having to watch his baby girl continuously fight for her life, BUT feeling as if the help that has been received is not appreciated. What actions have we done as a family to warrant others to believe we are ungrateful??? I realize that people will talk….and everyone is entitled to their opinions. That being said….Should I now watch or question any gift that is given to my daughter or family? Two weeks ago, just days after my ACS blog, I received in the mail a check for $530 from the Interact Club at the Herscher High School. High school students had organized and put together (along with Ms. Mulligan) an ice cream social fundraiser to benefit our family, along with two other district students presently in battle. Do I return this check in fear that I/we might not be viewed as “grateful” enough??? And exactly how are you suppose to show your gratitude??? By keeping your mouth shut and not speaking out about organizations that are not fair?? 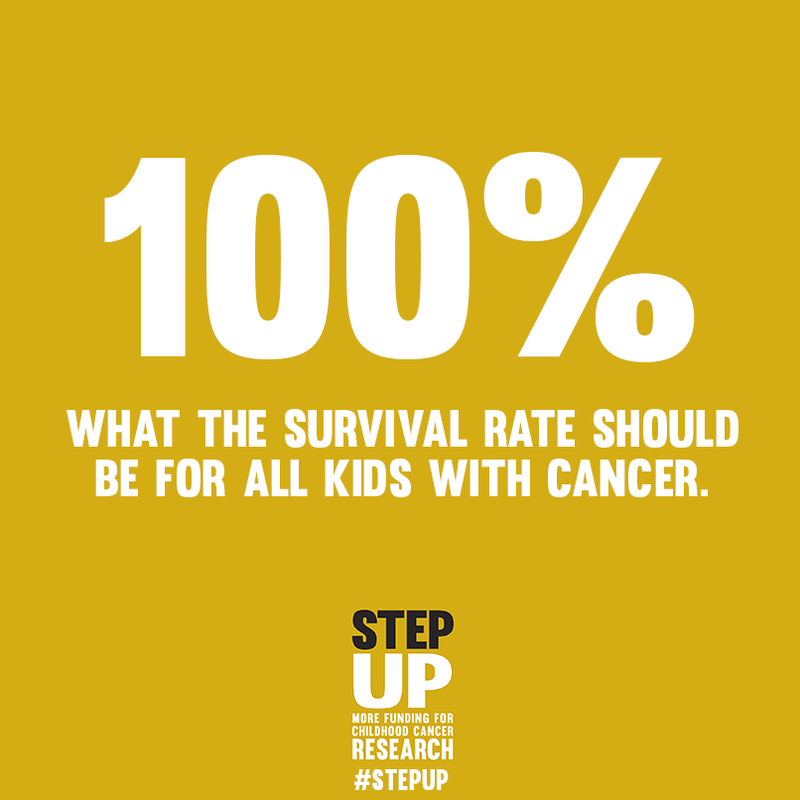 And just to clarify- not fair to not only kids with cancer, BUT all cancers. The facts that I have shared are not “made up”. Anyone can get the facts…….that half of the revenue raised for the American Cancer Society goes to salaries. $15 of every $100 goes toward research. Research that could possibly go for their real slogan, “promoting more Birthday’s”……Ugh. But I have already preached these facts…..and still my character is questioned. How about questioning the character of these organizations?!?!? How about demanding more?!?!?! It is not my intention to attack people…..if you take these facts as attacks, then maybe you should reconsider your loyalty to these organizations. Are people upset because they feel duped??? Feel children don’t deserve more than 1%???? or because I am “appearing” ungrateful??? Like I said at the beginning of “the blog”, I’m not here to make friends. Hell, I’ve lost a lot along the way, and I have also gained a lot as well. Such is life. As for the generous donation given to us by the Interact Club…..we still have not decided what we are going to do with it. I know that these kids worked very hard….and should be very proud of their good deeds. Thank you for thinking of our family and including us in your fundraiser. Zayla wants to donate it to something for childhood cancer research. We just haven’t figured it out yet. What I do know is that this donation was not given to us for us to feel bad about it. The spoiled opinions of some, should not taint the good deeds of others. 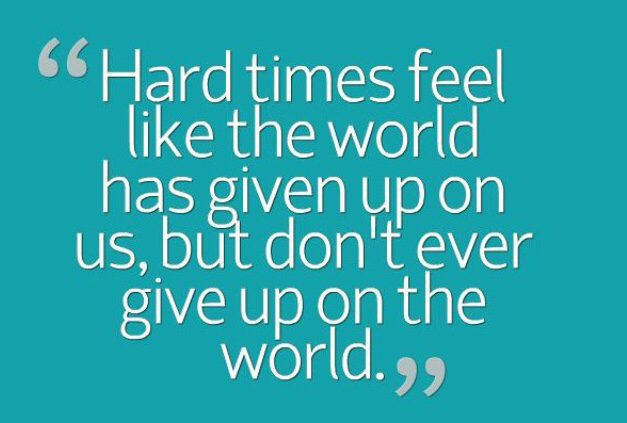 Although times are hard for us, I refuse to give up on the good that is in this world. Now I would like to take a moment and share why I believe children deserve more than 1% from ACS and LLS….and more than 4% from the NCI cancer research budget. Research and development for new drugs from pharmaceutical companies comprises 60% of funding for adult cancer drugs and close to zero for childhood cancers. However, the NCI spends 96% of its budget on adult cancers and only 4% of its budget on children’s cancers. So, why do I feel that children deserve more than 1% from the American Cancer Society or more than 4% from the national government or NCI??? I mean in the big scheme of things, childhood cancer only accounts for approximately 1.6% of all new cancer cases. So why should we increase the amount of funding to children??? Well, actually there are several reasons. The one that screams out to me, first and foremost, is that we should ethically be trying to save children from the tortures of cancer. To those of you who feel that 1% or 4% is “enough”….you have obviously NOT spent ANY amount of time watching these INNOCENT children suffer. Please, I dare you to look at my daughter and tell her that she is not worth more. That childhood cancer is rare and shouldn’t get all the research dollars that adults do. As a nation, we feed into the media’s display of “the wrong’s of the world”…..school shootings, racial shootings, terrorism like the Boston Marathon bombing…..all travesties in their own right. But where is the media coverage of the pathetic funding for childhood cancer?????!! Seriously folks. There has been TWO new medications approved for children battling cancer in the past 30 years. TWO. Big Pharmaceuticals only focus on the money makers….adult cancer. Where is the outrage????? Secondly, and this one is a little trickier to explain…..As you can see from the chart above, the largest amount of new cancer diagnoses is in the 65-74 year range. 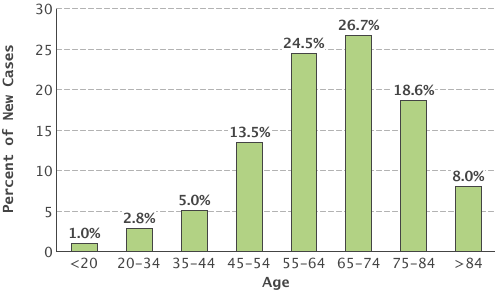 If you take into consideration total years of life lost (TYLL), and the average age of diagnosis for adults is 67 years old, and for children it is 6 years old. The average life expectancy is, let’s say 82 years old…..that would mean that children would have an average of 71 years of life lost to cancer, and adults would see approximately 15 years of life lost (and that is being generous). So, why would you NOT put more money and research dollars to those who lose more years??!?? I’m not saying that the loss of life at an older age is not important. But if you are comparing amounts of people affected, than you must also consider the amount of years affected as well. If you are adamant that you are saving more lives by funding x,y, or z adult cancers….than you must consider the amount of years that are being saved. Finally, I want you to consider the organizations that use large amounts of their resources for advertisement. Advertisement to get MORE donations. Many of these “non profit” organizations USE the faces of children to “tug at the heart strings” of donors. Research shows that the ACS and Leukemia and Lymphoma Society use children in their fundraising publications and literature 20-30% of the time. I’m sorry, but if you are going to “pimp out” cancer children to get more donations…..than damn it, at least give more than one lousy percent. It has taken me two weeks to finish this blog. I have tried to take a different perspective. I have tried to sit back and see HOW anyone could say that we are ungrateful. The only thing that I can say we are ungrateful for is the tremendous test that we are considered strong enough to continuously endure. I can also honestly say that at times I am ungrateful for all the days we do have with our sweet daughter….because some of these days are masked by the pure hatred for this disease and the struggles watching Zayla endure. My heart is constantly heavy. I battle every single day with the demons of childhood cancer. I often feel very alone. And angry. I see things differently than most non-cancer parents, BUT, I still am missing the piece that only those who have experienced loss can know. There are many cancer parents that I have met on this road…..and many who are not able to still have their child with them. So, for that I will vow to not let the petty words and opinions of those who have NO IDEA what it is like to travel this road, affect me. I can only hope that I have been able to open some eyes, and hopefully some hearts. Ungrateful??? Perhaps those who believe those words should look within and at their own healthy children and rethink that. Prayers to your sweet angle and for a cure.